This content/article is submitted by Jason Breeden, aka @gun_carry on twitter. Jason is a cigar smoking, gun toting follower of ours in the social media space, and has offered this article up as his first submission. Cigar life is not just about cigars, but also about the other things we enjoy with, before and after our cigars - as you've probably already noticed by all the spirits, beer and food articles! The article's original title, "Covert Media Day", has been changed here to "And Guns Too" to fit the theme of Cigarweekly. (The original would have been confusing given the title of our magazine.) This article is edited for our format. To read the article in its original format, please see the link at the bottom. 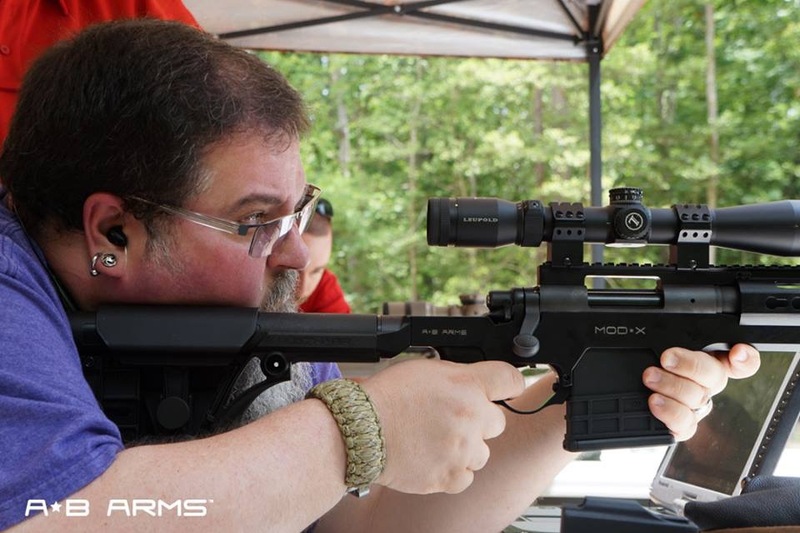 One of our firearms industry media contacts recently received an invitation to a private range event to take a look at a new Remington 700 configuration from American Built Arms Company, called the Mod X. Other products would also be represented. And while my general point of view is that of a CCW pistol user, the event was close by and still worth a look. To provide a rifle shooter/hunter perspective, I thought bringing my father along would be a good idea. First of all, let’s discuss the range. Thanks to the hard work of David Barglof with Guardian Corp, a freshly bulldozed range appeared in the wilds of Charles City, Va. only days before our shoot. The 300 yard range was cleared, and berms built specifically for the event. From our discussions, it appears there will more to come on this enormous property. Big plans are being made to make this a destination for future events. The idea is to eventually have a sniper range, tactical range, miscellaneous activity range, camping and even Norse style cabins built around the property. While they’ve just begun, its clear that David and his people are on the right track. I can’t wait to visit again. Once a few more things are completed, I would think it would serve as a great, private location for test and evaluation of products and media shoots, as well as a training facility for private security and LEOs. The star of the show was meant to be the American Built Arms Company’s Mod X Chassis for the Remington 700. The star certainly shined brightly, but it wasn’t alone. When we made our way to the shooting tent, we saw several examples of the Mod X ready and waiting, as well as other weapons such as ARs and Tavors with A*B parts and accessories. Once we got over the initial excitement of seeing more guns we want but don’t yet own, we started noticing the other products represented at the shoot as well. The media advertisement that drew us to Charles City made the American Built Arms Mod X the center of attention. The Mod X is a replacement chassis for your Remington 700. You can ditch the old stock and toss it. The Mod X has changed the 700 from a boring hunting bolt action into a aggressive and real tactical weapon system that holds a serious tacticool status. If you wonder how much difference there could be, you can start by looking at the before and after. So what does the Mod X get you other than a price tag and a look? Function and adaptability. The Mod X is exceptionally light weight at just over 3.5 pounds. It offers a 3 sided keymod fore end with a full length picatinny top rail. The system accepts AR buttstocks, and comes with a LUTH-AR MBA buttstock installed. The Mod X also bumps up the ammo capacity by allowing the use of MDT polymer magazines. So you have 10 rounds on board when you need them. But the important question is, "How does it shoot?" The short answer is, "Like a dream." Regardless of the dressing, the Mod X is still a Remington 700, so the tried and true accuracy is there. But the stock is comfortable, and everything feels the way you want. There is nothing in the way, and I love the magazine eject that has been added to the front inside of the trigger guard. You can drop the mag with an extension of the trigger finger and no other movement. This means quicker, more efficient reloads. 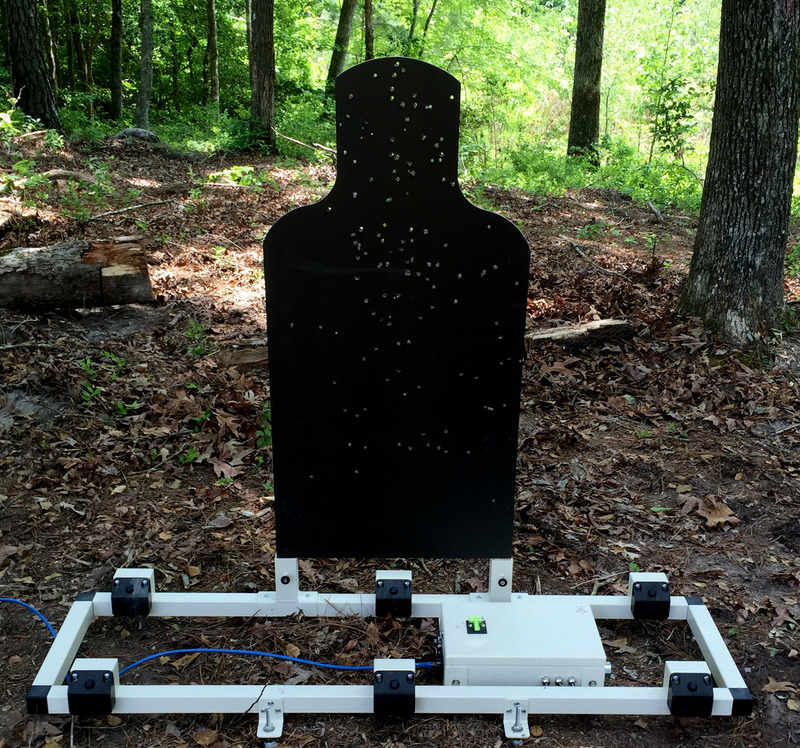 I was able to comfortably place my shots anywhere I chose at 300 yards. That is not a normal day for me. But the Mod X is not yet available for a left handed shooter. That’s part of the reason I brought my father along. He shoots rifle lefty. So after he had ample time shooting, I asked for his opinion. As a long time hunter and left handed shooter, he said he didn’t mind shooting it left handed. He said it was still comfortable for him, and because it’s a bolt action he didn’t mind the right hand gun. He said as well as the rifles were shooting, he didn’t need to worry about a quick follow up because that was no excuse for missing. In fact, he liked the system well enough that we stopped to shop 700’s on the way home. What we found was interesting. The prices we saw for Remington 700’s in a good caliber like 308, with a set up similar to the Mod X, were over $2000. Granted, this store is a little high retail. But the same store offered a base model 700 with synthetic stock for $500-600. When you add that to the Mod X price of $800 and sell the old stock on eBay, you could have the same or better tactical 700 for $1200-1300. That’s a significant saving along with the comfort of knowing what’s gone into the weapon. You built it, after all. Before moving on, I should make note of some other items offered by A*B. The foregrip for the Tavor is a very nice addition. It really makes the offhand placement more comfortable and less confusing. I want to see more of the American Built Arms Company offerings! The second item we noticed was the suppressor mounted on the .556 Mod X. Upon taking a closer look, what we found was astonishing. Because my focus has always been handguns, concealed carry and products for the average shooter, I’ve not paid much attention to suppressors in the past. My perception of suppressors has always been that they're too expensive, bring government red tape into the equation, and are only good for a single weapon and generally not worth the hassle. Dead Air Silencers has changed my outlook. So first of all, who are these guys? Dead Air Silencers is the new home of Mike Pappas, formerly of Silencerco fame. Thus, Dead Air has an instant and untouchable pedigree. It seems Mike was tired of corporate politics and red tape. He simply wanted to make a better product and provide a better sound, or lack there of. I think the Sultan of Silence has done amazing things with Dead Air Silencers. So what sets this suppressor apart? Currently, they provide three options. We got a look at two of them - the Sandman L (long) and Sandman S (short). Both are 30 caliber suppressors that can be used with anything from .223 up to 300 Winchester Magnum. First and foremost, they sound fantastic, delivering about 30 dB’s of throaty noise reduction. The best part to me was the quick detach design. Instead of using a direct thread design the Sandman designs use a special muzzle brake as an anchor point. With direct thread designs, I have always thought you either end up with a suppressor that is well nigh impossible to remove because you cranked it down to secure it, or your can heats up and it loosens and starts to jack up point of impact - or worse, it flies right off the weapon. No chance of these issues with a Sandman. Instead, the muzzle brake is threaded and secured to your barrel long term. The suppressors actually fit over the muzzle brake. They can only actually slide into place if the position is perfect, but the fit is easy enough to do with your eyes closed. 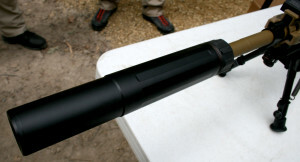 Once the suppressor is in place, a clockwise twist first engages three locking teeth behind a run of the muzzle brake. With a continued twist, a spring ratchet system pulls the suppressor firmly into place. It’s super easily, quick and sure to align exactly every time. The proof of that alignment lies in the fact that the QD system was shown to us multiple times, and at times done by us on the rifles we shot. I went on to fire a two inch group at 300 yards. After seeing and using the Dead Air Silencers, my imagination went elsewhere. I was thinking no more thread protecting caps on multiple barrels. I see the opportunity to add a Dear Air muzzle brake to as many rifles as you’d like. Then, with the twist of a wrist, a Sandman can be on any of those rifles. We’ve got a .270 in mind for hunting. Of course, while we did all that shooting, the ammo had to come from somewhere. Liberty ammunition was good enough to provide all the .223 ammo. We shot their 55 grain Silverado boat tail hollow point. The Silverado, as with all of the Liberty ammo I’ve seen thus far, is lead free and in this case fragmenting. It’s screaming fast out the muzzle and on point down range. As we were able to shoot a gel block on sight, we got a look at the impressive wound cavity it leaves behind. We also got a look at the defensive lead free 9mm rounds. I can’t wait to get a little more time in with Liberty products. So remember that two inch group I mentioned? I didn’t confirm that group by walking 300 yards while trusting strangers to keep the range cold. I didn’t shift from the rifle scope to the spotting scope and search for tiny holes. Instead we had the fantastic Oakwood Controls target system. The Oakwood Controls system uses a rail system with a computer control unit and six mounted microphones to determine the exact point of impact within a few millimeters using acoustics alone. The brain down range communicates with the screen next to you, and by the time you lift off the scope you see exactly where you hit or didn’t. That’s correct. The microphones aren’t listening for impact, but are instead tracking the supersonic path of the bullet passing overhead. This means the system can tell you exactly where you missed, and guide your adjustments to center in inches, centimeters or mils. These systems are astonishing, and will find a spot on my Christmas list for a long time to come. After the formalities and a tasty lunch, we had time for an impromptu fun shoot. AR’s and Tavors came out from all directions, and the Liberty Silverado was flying. Even during a fun shoot, there was some learning going on. My father got to see what all the fuss was about with the Tavor. I got to learn how easy it is to switch a Tavor to left handed configuration. I also got a chance to see and hear the pistol suppressor Dead Air will be releasing for 22LR (super quiet). Most of all, I had the opportunity to meet some of the nicest people in this industry. Everyone from each of these companies was super friendly and more than generous. I will recommend any of them without hesitation. Jason Breeden is a cigar smoking gun enthusiast and cigarweekly.com follower from Virginia. 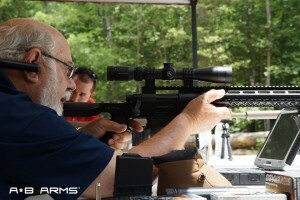 Read more of his gun reviews and articles at guncarryreviews.com. The original article is published HERE.